Dark hair can appear anywhere on the face and body which is often difficult to remove and distressing for sufferers. Excess hair might appear anywhere on the body. Most common places include the legs, back, chest and face. Both men and women suffer from excess hair and it can be a constant source of frustration and irritation for many people of varying ages. The problem with excess hair is that many people believe it looks unsightly and unattractive. Wome in particular, will know from shaving their legs and armpits that body hair in these areas is not generally accepted, so they might use razors or wax the hair off. The problem with these traditional methods is that they are only temporary, giving relief only for a short time frame before the hair grows back thicker and stronger. 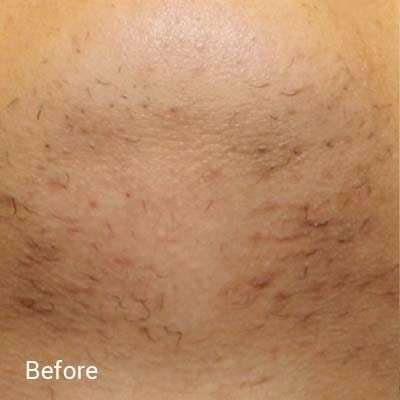 Constant shaving and plucking also encourages ingrown hairs and skin irritation – another reason why you should invest in a more long-term, effective and safe method of hair removal. Electrolysis is a method of removing individual hairs from the face or body. The treatment involves the use of a very fine, small probe about the size of an eyelash, which is inserted into the hair follicles. It is here where a very small energy current is discharged, which helps to destroy the blood vessel and starve it of any nourishment. We are using this method to remove grey, blonde and white hair mainly on the face areas. Most of us are naturally born with hair on our arms, underarms, bikini area and legs which can be difficult to maintain. 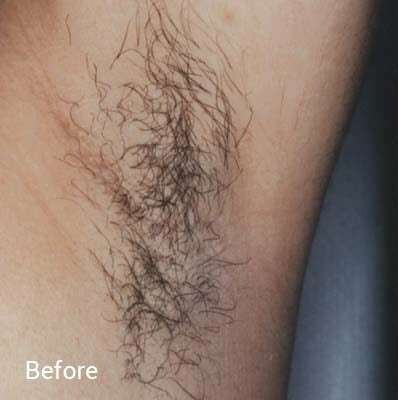 Excess hair on other areas of the body if often heritidary or caused by hormonal inbalances. 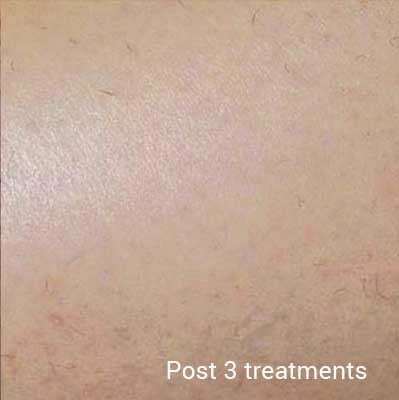 You cannot prevent excess hair, only treat it effectively with laser hair removal. 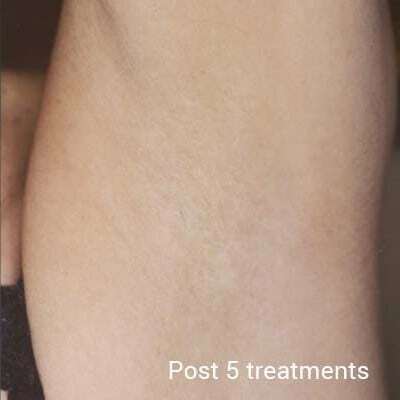 Excess dark hair on other areas of the body that can appear unruly and thick.